The story of three Moroccan dancers who despite having valid Visas, were refused entry, locked up, and deported by the Dutch authorities. On January 10, 2019, hip-hop dancers Hamza, 20, Bourich Omar and Ahmed, 21, arrive at passport control at the Eindhoven airport in the Netherlands. In their hands, they have their Schengen* visas (3 months, multiple entries), which were delivered to them by the Dutch consulate in Casablanca on December 28, 2018. 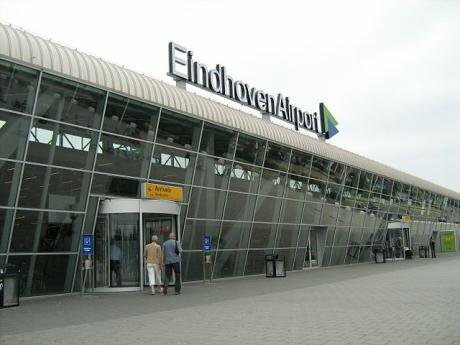 The passport control agent asks them to state the purpose of their trip, their place of residence during their stay in the Netherlands and the amount of money they have on them. The three dancers are there to participate in an international hip-hop Battle that will be held in the city on January 12. Their return flights have been paid for and are scheduled for January 17 (Hamza and Omar) and 22 (Ahmed). In Eindhoven, their Dutch dancer friends and hosts are expecting them. Between the three of them, they have about 300 euros in their pockets. Hamza and Omar have already been to Europe (France, Netherlands), invited by Battle and hip-hop festival organizers. They are known on the Moroccan scene and are part of The Lions Crew Collective, which was praised by the New York Times in May 2018. As for Ahmed, it’s his first time in Europe. “I am not a criminal, I am an artist,” Hamza repeats, in vain. The agents inform the three dancers that they are not allowed into the Netherlands for “insufficient means of subsistence” and insufficient justification for the purpose of their stay. However, Hamza, Omar and Ahmed are not sent back to Morocco. They are loaded into a van and transferred to a detention centre for undocumented migrants in Rotterdam, a two-hour drive away from the city where their plane landed, despite the fact that they have both valid passports and visas. Hamza and Omar will remain in detention there from January 10 to 15. Ahmed will stay there until the 17th. When they arrive at the centre late in the evening of January 10, they don’t really know where they are nor why. It’s not a prison, they’re told, it’s a centre for undocumented migrants. They don’t know how long they’re going to stay. At the centre, their cellphones and some of their belongings are confiscated and placed in plastic bags. They undergo a body search and are scanned from head to toe. Payment cards containing the sums they had on them, plus 10 euros, are handed to them. They will use the cards to pay for their purchases and their phone calls in the detention centre. Ahmed and Hamza are locked up together in a cell. Omar is in another: “I was scared, I didn’t want to be alone. I begged them to let me stay with my friends, even if it meant sleeping on the ground.” In vain. In the cell, there are bunk beds, a TV, a microwave oven and a landline phone. With their payment cards, Hamza, Omar and Ahmed call their families and notify l’Uzine, the cultural centre in Casablanca where they rehearse and create. On Saturday January 12, two days after their arrival at the centre , they meet a lawyer who has been assigned to their case. He asks them the same questions they were asked before: why did you come to the Netherlands? Did you plan on staying? They give the same answers. The lawyer promises that he’ll come back the next day. They never see him again. On Sunday, they receive a visit from a high Moroccan official in the Netherlands, who has been informed of their case by l’Uzine, the cultural centre in Casablanca. The dignitary comforts them but cannot do anything to get them out immediately. He informs them that they will be sent back to Morocco, but even he doesn’t know when. On Tuesday, January 15, agents come to get Hamza and Omar, but not Ahmed. The two boys think they are going to be freed. They are, in fact, loaded into a van again, each locked in a box, brought back to the police station in Eindhoven, and finally back to the airport where they first arrived. They wait for several hours inside a vehicle on the tarmac, before being handed over to the flight staff of a Ryanair flight to Marrakech. Without their passports. Omar and Hamza end up at the central police station in Marrakech, where they are interrogated at length before being released. They finally pick up their passports: their 3-month Schengen visas have been covered with a red stamp, cancelled by the Dutch authorities. On January 17, Ahmed undergoes the same treatment.